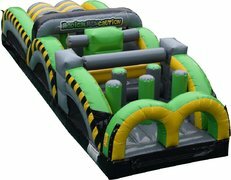 The Best Bounce House Rentals & More In Austin! 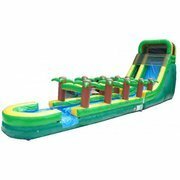 Whether you're looking for a party inflatable such as a bounce house, a water slide, or an obstacle course, or are looking to cover essentials such as tables and chairs, we got you covered! 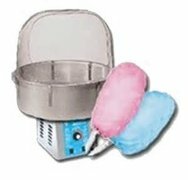 Take the time to browse our inventory by clicking on one of the categories below, and remember to reserve your equipment ahead of time to ensure availability! We also encourage you to reach out to us directly if you have any other questions. 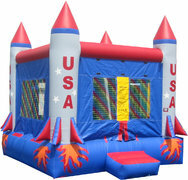 No birthday party is complete without a fun bounce house or party inflatable addition! Our wide selection is sure to please the pickiest of birthday boys/girls. 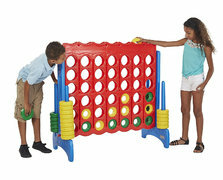 Count on us for all your birthay party rental needs! 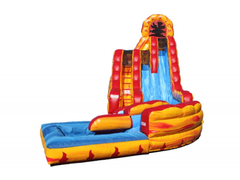 Commemorate a special occassion with a fitting surprise: an exciting bounce house, water slide, or party inflatable is sure to leave a lasting impression during any graduation party or celebration! 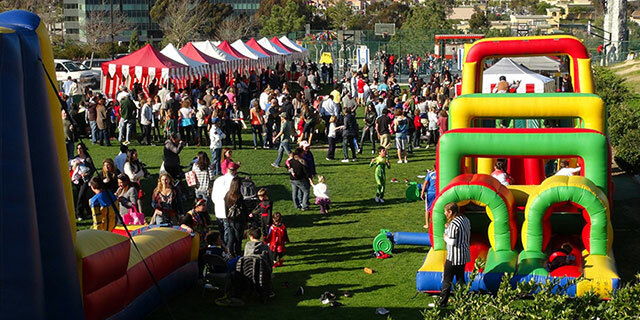 Planning a corporate event, community celebration, or any other type of large event? 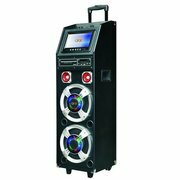 Count on us for all your party equipment needs! 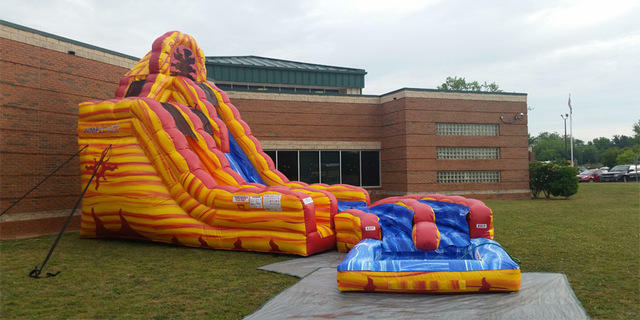 We have chairs and tables, concessions, exciting party inflatables, and more! 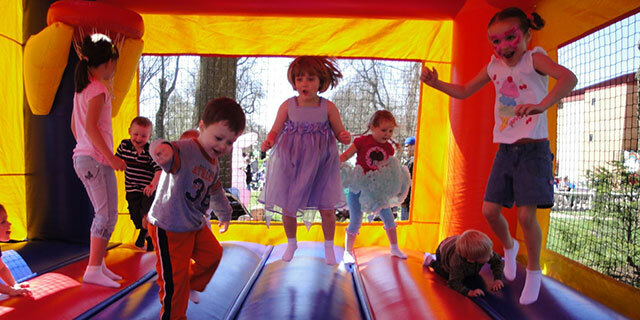 Bounce Houses & More From Jump Around Party Rentals! 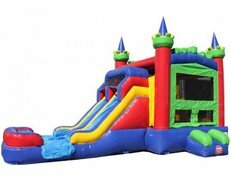 Welcome to Jump Around Party Rentals, one of Austin's leading party rental companies! 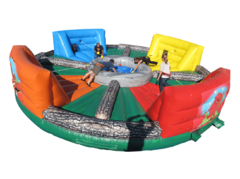 For years, we've strived to provide entertainment for residential and community events via our wide selection of fun and exciting party inflatables and equipment rentals! 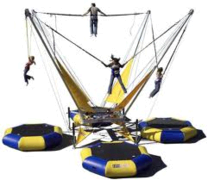 At Jump Around Party Rentals, we are dedicated to ensuring that you and your guests have the best experience possible. 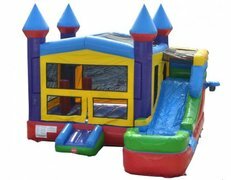 Our wide selection of offerings includes traditional bounce houses, combo bounce house units that feature multiple ways to play, water slides, interactives such as Dunk Tanks and obstacle courses, and other party add-ons such as concession. 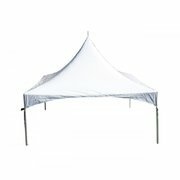 Of course, we also provide party equipment essentials such as tables, chairs, and tents! 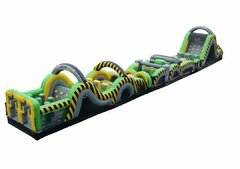 Our large inventory ensures that we can meet all of your party rental needs, making it your one-stop shop for all things related to party rental equipment in Austin. 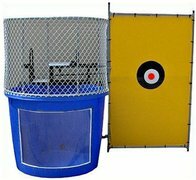 Whether its tables and chairs that you need, or want to toss a margarita machine into the mix, we are ready to take your party to the next level! 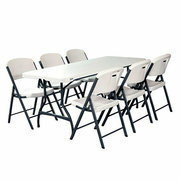 Our equipment meets all safety standards and regulations set forth by the State of Texas. Not only that, we also go to great lengths to ensure that our equipment is fully inspected, cleaned, and ready to go in between rentals! 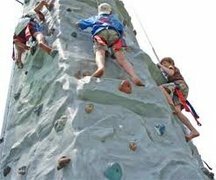 Your enjoyment is our priority, and we take pride in guaranteeing total and complete satisfaction. We service the Greater Austin area as well as Round Rock, Cedar Park, Leander, Killeen, Belton, Hutto, and more! We do charge a delivery fee depending on your distance from us. 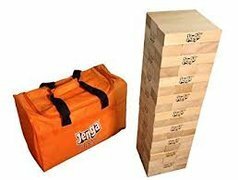 Feel free to contact us and discuss the particular delivery fee that may be applied to your order. Do note that we also provide discounts and package deals when renting out multiple items, reach out to us today to learn more! Proudly serving Austin, Round Rock, Pflugerville, Killeen and all the surrounding areas in Texas.